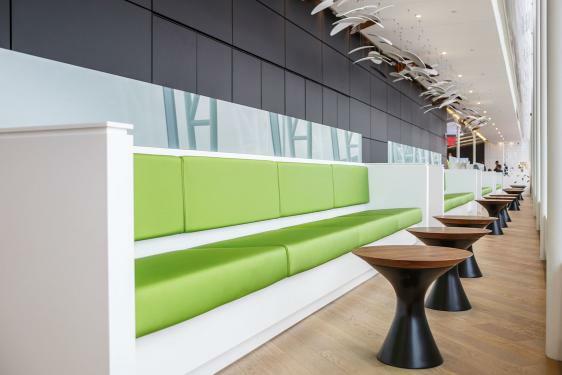 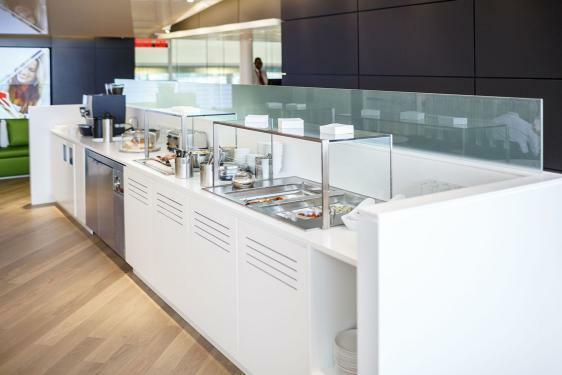 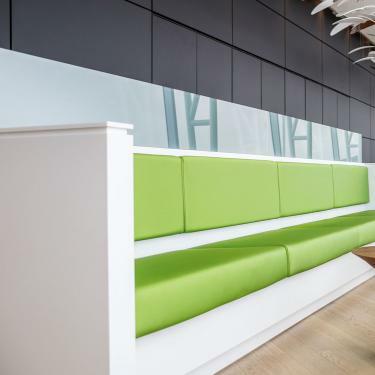 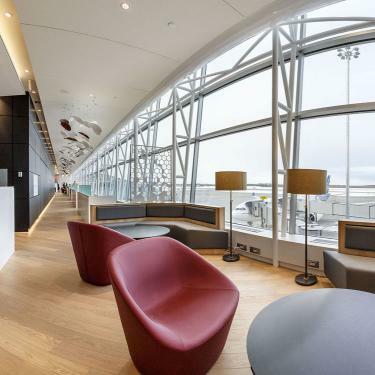 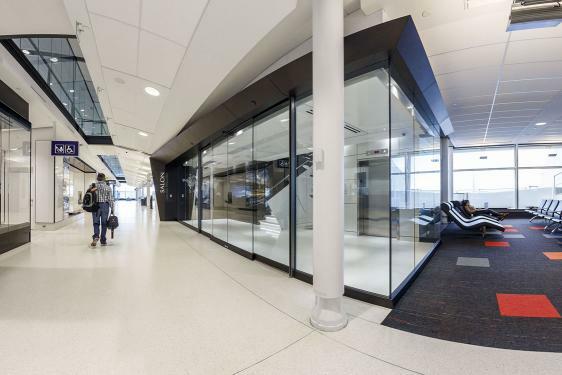 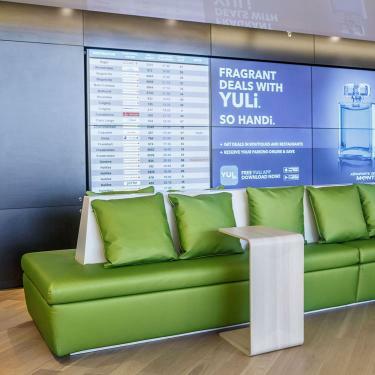 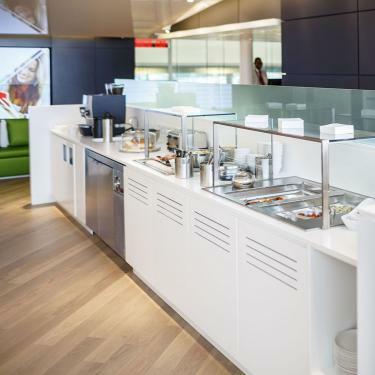 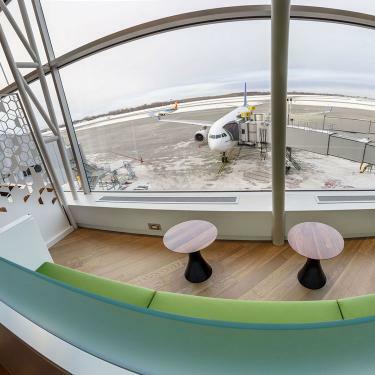 Aéroports de Montréal is pleased to offer a lounge accessible to passengers. 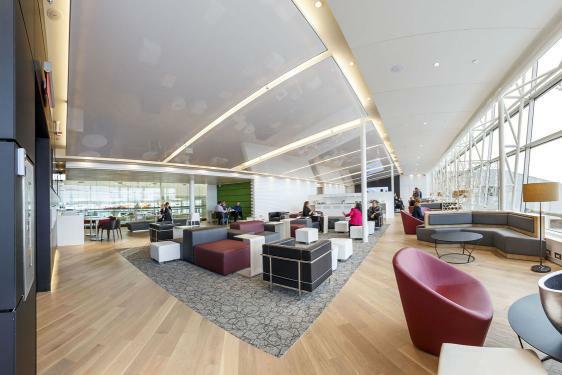 No reservations are necessary for the lounge access. 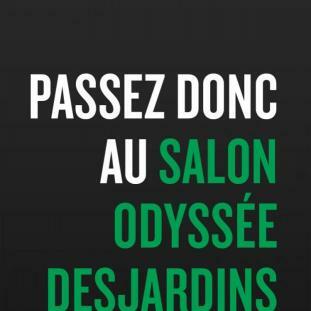 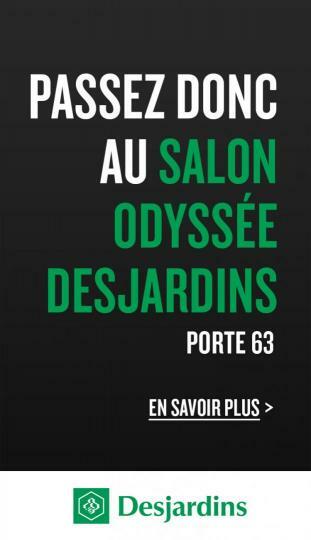 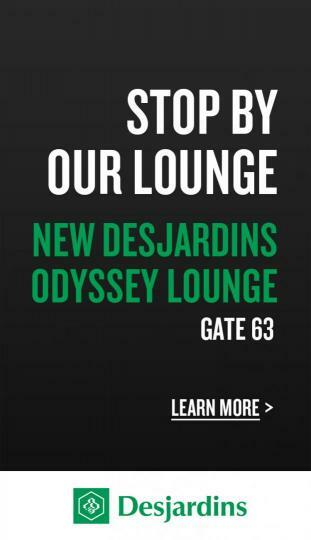 The "Desjardins Odyssey Lounge", sponsored by Desjardins, is located in the extension of the international jetty near the gate 63. 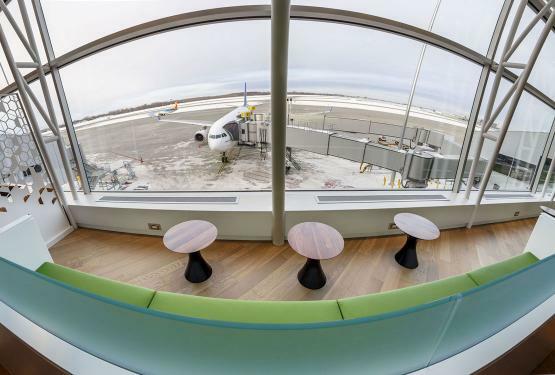 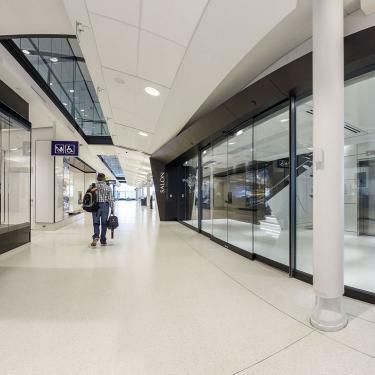 Since April 3th 2019, only passengers taking an international flight assigned to gates 51 to 68 in the international zone will be able to access this zone, excluding flights to Canadian or U.S. destinations. 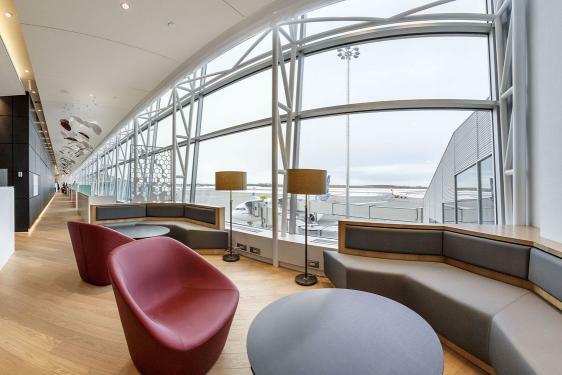 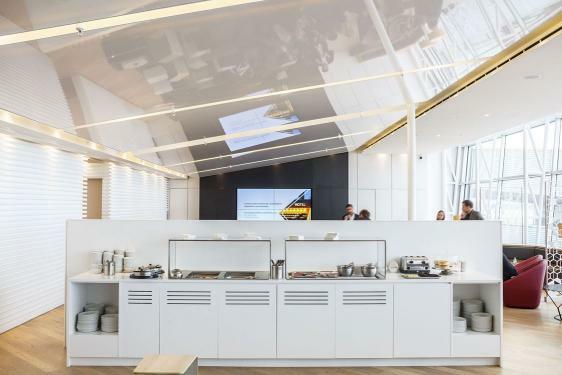 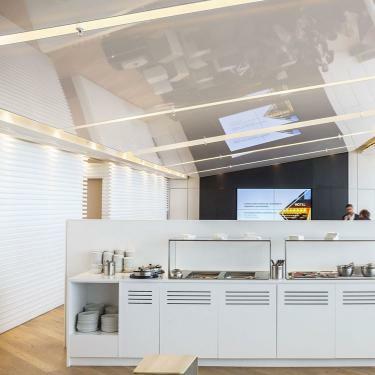 This lounge is distinguished by its warm and refined layout, creating a space with a relaxed atmosphere and has about 160 seats. 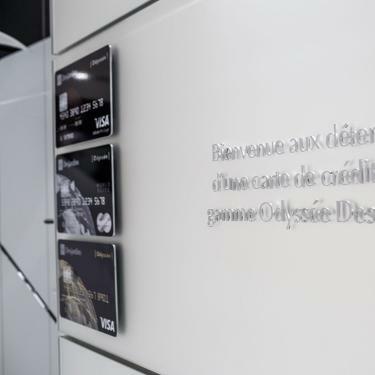 As the Odyssey® line credit card holder, you benefit from a "privileged access", visit the website https://desjardins.com/ca/personal/goals-life-events/travel/leaving-on-trip/index.jsp for more information. 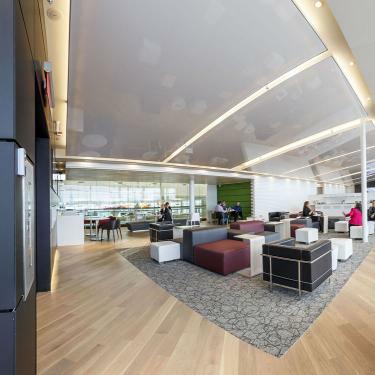 family area (with touch screens, games and books). 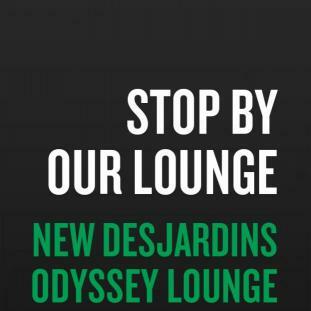 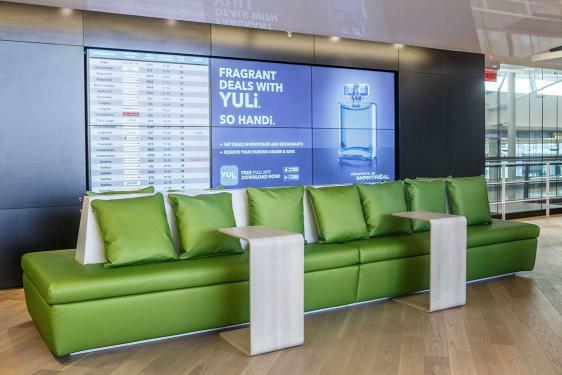 On your next trip, pass by the lounge ! 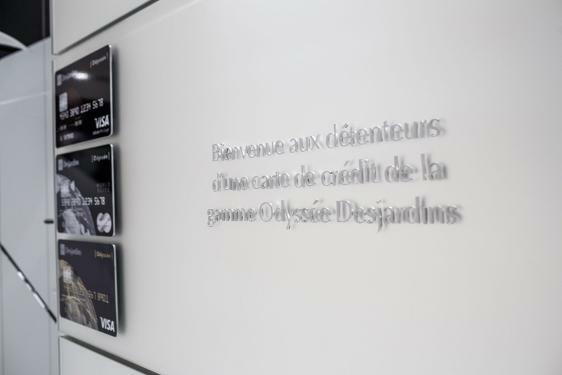 MDOdyssey is a registered trademark of the Fédération des Caisses Desjardins du Québec.